Jeremy Henderson joined by Alan, Dr. Dennis Hartlieb and Dr. Artie Volker at VoD2018! 3M reps across the country have been trained up on the Bioclear method and can give live demos/lunch and learns in your office! You can check that out at 3m.com/bioclearmethod! Head to Tacoma for an in depth course on the Bioclear Method at the Bioclear Learning Center! 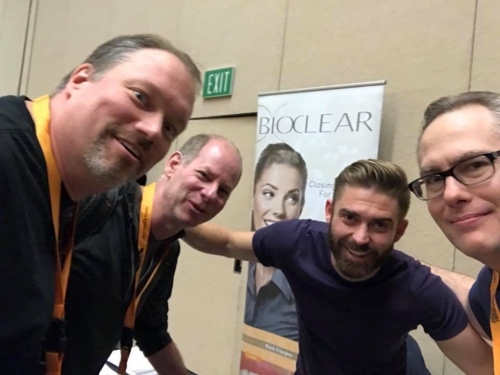 The Dental Hacks have always been big fans of Bioclear and we’re pretty excited that Bioclear is now coming to you!